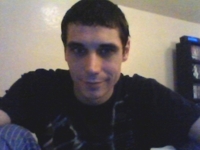 4aron - 35 - United States - English, baby! My Hobbies: Well, I love Japanese video games and anime. But I also really like cooking, reading books, nature, a lot of things. Things I Like: Kindness and honesty. Things I Dislike: People that are unkind and dishonest. Favorite Food: I can't pick just one! Favorite Music: Rock music, R&B, composed soundtracks.